The EU 'black list' consists of 146 people and 37 organizations. The Council of the European Union has approved the extension of sanctions related to the black list of individuals and organizations of Russia and Ukraine until March 15, 2017, a source with the EU Council told TASS. The decision is formal because on Sept. 7 the Committee of Permanent Representatives (COREPER) brought the political verdict to extend the sanctions. 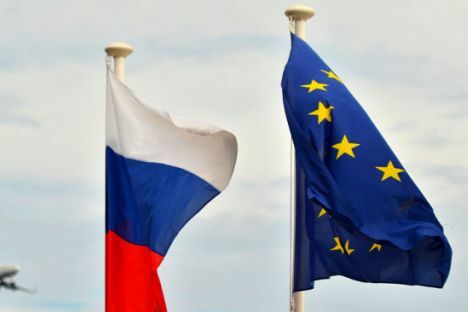 "The decision to extend the effect of the list of sanctioned individuals and legal entities of the Russian Federation and Ukraine for six months was made in written form and will enter into force upon publication in the Official Journal of the European Union on Sept. 16. The restrictive measures have been extended to March 15, 2017," he said. To date, the 'black list' consists of 146 people and 37 organizations. The list includes representatives of the Russian leadership, Russian politicians, businessmen and security officials, as well as almost all members of the leadership proclaimed Donetsk and Lugansk People's Republic (DNR and LNR). In addition, the list comprised 37 organizations, including all known military and political structure of the DNR and LNR. European businesses were not allowed to maintain any relations with them.